We saw you last night, despite your stealthy location in the back of the cupboard under the sink. Last time we crossed paths you were bolder, crawling across the middle of the kitchen floor. Following your first intrusion, we took the appropriate preventative measures (e.g. wiping the kitchen counter with disinfectant every night, carefully storing all food in sealed containers, taking the trash out nightly). As you recall, we swept you out our front door with a stern warning to never return, which you have now chosen to disregard. As an eight-month-pregnant woman with nesting instincts at their height, I consider your re-crossing my boundaries an act of war. You may have heard from your friends in Arizona that I prefer not to kill bugs, but simply remove them from the house. This is true, to the extent that they fit in my Bugzooka and they don’t return once expelled. You are big, ugly, and gross, and you won’t stay out; therefore you merit an exception to my general rule of mercy towards bugs. Do not come back. You will die. BA hahahahahaha!! This is awesome. And you go girl. Totally agree. Aaaaahhhhhggggg! 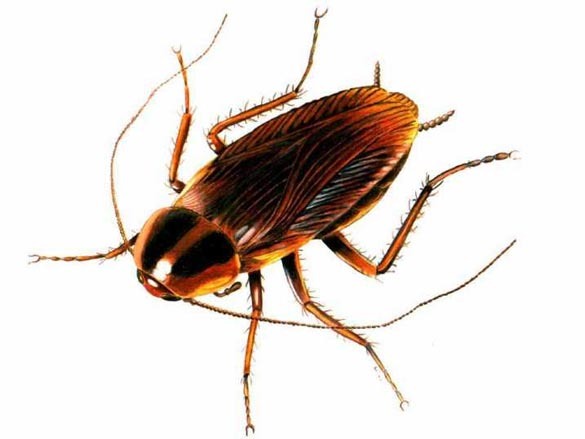 I hate cockroaches with a fiery, passionate hate! I thought I saw one in my litte cottage that I'm renting here in Safford,AZ where I'm doing my current rotation and I just about hugged it when I woke up and saw it was a cricket. Good luck, and may you never see another cockroach again! You should write for a newspaper or magazine...LOVED this! Good luck with your war! LOL!! Cockroaches are my number one fear. I too hate killing bugs and always call Isaac to take care of them when he's around. However, with cockroaches I break all the rules: kill at first sight!